Uneven steps and poorly constructed stairwells have great potentials as an accident site. It is the responsibility of the owner of the property to ensure that irregularities in the construction of the stairwell and other possible accident sites are addressed. Failure to address these issues could result in an accident in which they can be charged with negligence and be held responsible. 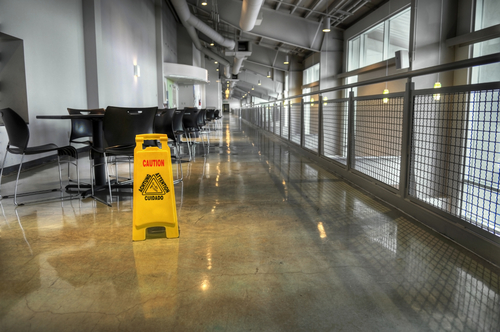 In the event of a slip and fall accident, the circumstance of the fall should be investigated as this will help pinpoint who is to be held responsible. To do this, you would need a qualified attorney to objectively consider the investigation results, and present your case favorably for you in court should you proceed further. For slip and fall accidents, it is not advised that you represent yourself, even though you could. This is because a slip and fall case involves so many clauses and small considerations that could jeopardize your case if handled poorly. When such a situation occurs especially in Fullerton, CA, be sure to contact Rawa Law Group for competent slip and fall accident attorneys in Fullerton. Why Rawa? Rawa Law Group is a foremost law firm here in Fullerton, CA with all the experience and resource needed to guarantee that you are represented professionally. Our services are custom made to suit your schedule and fit your financial plan. There are no worries of fore payments with us as we are prepared to carry your case through from the investigation to representation in court – charge-free, we only do require payment when we have won you money. Wouldn’t you rather pitch in with Fullerton’s most renowned slip and fall accident attorneys? Reach us via the address below.